You know when you say you’re going to start a new hobby? Like cycling. You buy a bike with good intentions. But for one reason or another, it’s a couple of months later and the wheels are gathering dust. Are you treating HubSpot like another forsaken tool? It deserves better. But we get it. It takes time and energy to become its master. Here’s the thing: as with cycling, you don’t have to be sublime at HubSpot for it to work. For now, you can do the bare minimum and still get awesome results. People, it’s time to take HubSpot out of storage and make the most of your investment. Is HubSpot Set Up Properly? We’re talking about simple set-up changes that are easy to implement. Complete this task and you’ll be generously rewarded. Remember all the reasons why you invested in HubSpot? These boons are still yours to gain. In fact, when you use HubSpot correctly, you could Increase your sales revenue by 79% within just one year. You need the right instructions for proper assembly - something we can help you with. Note: Skip this part if your website is being built on HubSpot or migrated to the platform. Your website is automatically being tracked! For those whose website isn’t built on HubSpot, your unique tracking code is as necessary as breathing. You need to install it on your non-HubSpot pages if you want analytics (such as page views, time spent on page etc). You can find the code in your HubSpot settings. Navigate your way to Reports and then click on ‘Tracking Code’. You can copy your code or email it to your web developer from the platform for implementation. Installing the code is easy. For help, read HubSpot’s guide which contains specific instructions for various website hosts, from WordPress to Magento. You’ve only connected your Twitter account to Hubspot so far? That’s crazy. Did you know that last year, 1.37 billion active users visited Facebook on a daily basis? Or that 260 million users are logging into LinkedIn each month? Missing out on the opportunity to engage with massive audiences isn’t an option if growth is on the menu. And you’ve invested in inbound marketing tools, so it must be. This is easy to do in HubSpot. And there are so many juicy benefits of connecting all your social media channels - Facebook, LinkedIn, Twitter and Instagram - using one platform. You can schedule, publish and monitor socials posts via HubSpot’s user-friendly dashboard. You can also manage the mother of all campaigns from a single point AND get analytics to measure performance without ever having to log into another account or click on a new tab. So get your stuff together and make sure all your social accounts are connected. All you need to do is go into your Social dashboard, head over to settings and click ‘Connect Account’. Simples. Choose to host your blogs through HubSpot and the hard work is already done - blog subscriber lists, blog subscription emails and forms are already set up for you. But there are a few additional settings you’ll want to tinker with to get the most from this feature. For example, you can automatically send blog content to people once they’ve subscribed or ensure social sharing buttons are attached to each blog you publish. These are simple setting adjustments that can supercharge engagement with your content. Get excited about all the easy performance-boosting tweaks you can make using HubSpot’s in-depth blogging guide. This is what HubSpot was made for. As an all-in-one marketing platform, the biggest advantage is the ability to manage entire marketing campaigns and everything they contain from one place. To distinguish what marketing activity goes with which campaign, you need to do a little organising. It’s easy to do with HubSpot (I know I say this a lot, but it’s true!) and makes measuring your results child’s play. For example, let’s say you’re running two separate campaigns: one focuses on a product offering while the other targets a specific business niche. Using the platform, you can assign social media posts, blogs, emails and landing pages to the campaign they’re promoting. So, for instance, when you need data on which LinkedIn post had the most click-throughs for a specific campaign, you can harvest this information in a jiffy. 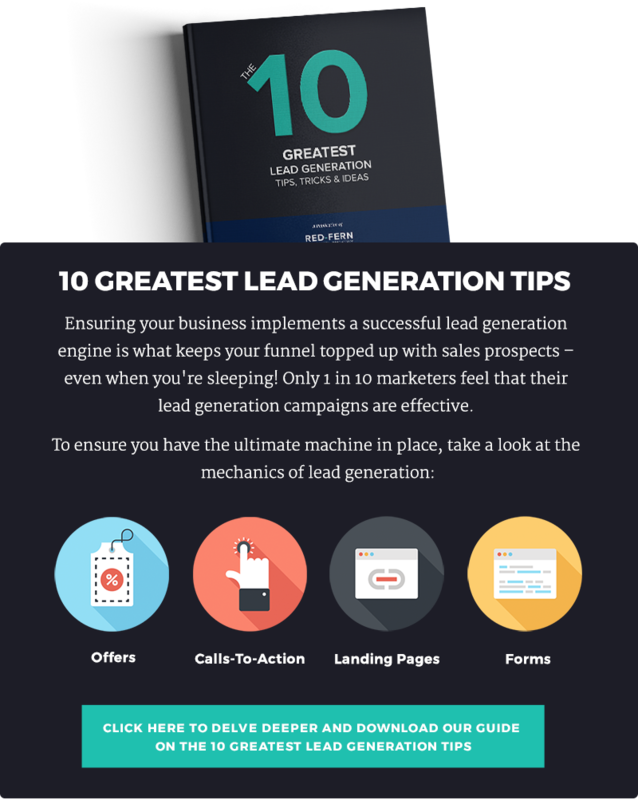 The task you’ve been dreading: getting all those leads you’ve collected into HubSpot. But tedious data entry it is not! You can do a bulk contact import and HubSpot makes this easy. It even gives you a sample spreadsheet as a formatting guide. Saying that, there’s no guarantee all your contact details will import perfectly over to the platform. For example, you might have specific data that doesn’t fit snugly into HubSpot’s contact database. But fear not, there’s a simple remedy. Before you do the deed, decide what data you need, such as information integral to your marketing and sales process. Then you can create custom contact properties (read this to learn how) for any rogue details HubSpot doesn’t automatically accommodate. Picture this: You’ve crafted an email specifically for your marketing qualified leads. But, when it comes to creating recipient lists, you don’t know which contact is at what stage in the sales cycle. You’re going to have to go into each contact to dig for more information. Otherwise, your email will go to the wrong people… nobody wants that to happen. You need to assign lifecycle stages to customers to avoid a consumer nightmare. Subscriber, lead, marketing qualified lead (MQL), sales qualified lead (SQL), opportunity, customer and evangelist - putting your contact in the right lifecycle stage will make automating emails and other marketing collateral work like magic. This is a task you need to be on top of. Otherwise, your lists won’t stay fresh and we’re back to square one. Review your customer database at least every six months to ensure HubSpot can do its job properly. The double opt-in. It sounds like a burger, but really, it’s the best way to capture leads electronically while adhering to GDPR. It works like this: after a customer fills in your lead generation form they will be sent an activation link to their email address - they need to click on this if they want your content. And then, hey presto: their customer data will be added to your database. Numéro uno: you’ve passed the GDPR test. Customers have independently and knowingly signed up for the goods. Numéro dos: you know people who subscribe to your content have done so because they want to. You can officially label them as leads primed for nurturing. To set up the double opt-in, go into your Email Settings. From there you can enable this gem of a feature (and tweak some additional settings if you need to). Groan. When you don’t have access to the right tools to complete a task it can be frustrating. Fix this annoying problem and maintain high productivity levels by adding users to HubSpot and assigning them with the right permissions. There are four categories to choose from: Sales, Marketing, Admin and Contacts, each with varying access settings. We’d be here all day if we detailed them all, so here’s a handy list of the different user permissions available. Also, do it for security. Set up user permissions correctly so your teammates can’t access anything they shouldn’t! There are hundreds of hours worth of learning material in the HubSpot Learning Centre, so why not soak it up? HubSpot can be confusing, there are plenty of functions and you can overwhelm yourself with too much information. Take it slow, get the certifications that apply to your job role and use the free resources HubSpot provides. Leads can grow on trees when you use HubSpot correctly. Nourish it with the best content and optimise it with the right settings to surpass your aims. It’s your portal to easier campaign management, streamlined marketing, accurate analytics and enhanced productivity.